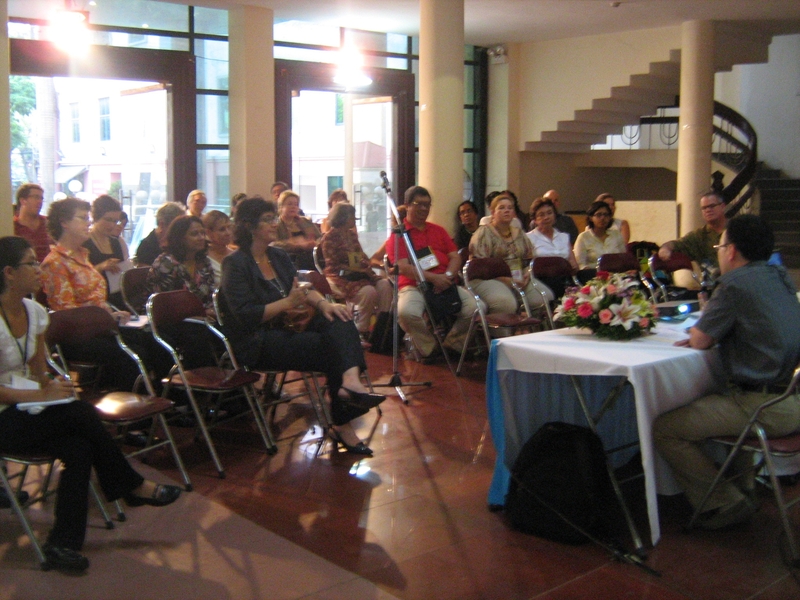 In order to share the outcomes of the SPW Asian Dialogue on Sexuality and Geoplitics with participants of the 2009 IASSCS Conference, a devolution workshop was held in the Vietnam’s Women’s Museum on April 16th, when summaries of the various panels were presented and discussed. About 60 people attended the reception, and a brief debate followed the presentations made by Jayashree Ramakrishna (India), Dedé Oetomo (Indonesia), Radhika Ramasubban (India) and Rosalia Sciortino (Thailand). Le Ming Giang, from the Center for Research and Training on HIV/Aids of the Hanoi Medical University, Vietnam, chaired that session.